The bright lights of Broadway changed that opinion in one fell swoop. What had been the hottest play in London became an equally hot ticket in New York City, and Corden’s magnificent performance as the play’s hapless star Francis Henshall – a glorious combination of outstanding comic timing, breathtaking physicality and charismatic audience interaction – ended up storming the Great White Way in the spring and summer of 2012. And, lo and behold, he triumphed in the Best Actor category at the Tony Awards, beating the likes of Philip Seymour Hoffman for ‘Death Of A Salesman,’ a victory that supplied a rocket-fuelled boost to his film industry profile. James Corden had hit the big time. “His name is now on the lips of everyone in Hollywood and he is a movie star, categorically,” states Kris Thykier, who joined ONE CHANCE as a producer in early 2012. “He has an emotional vulnerability on screen that is incredibly winning and compelling. He’s got that classic movie star thing which is that it doesn’t really matter what he’s doing on screen, you want to be in his gang. Their faith has been amply justified. 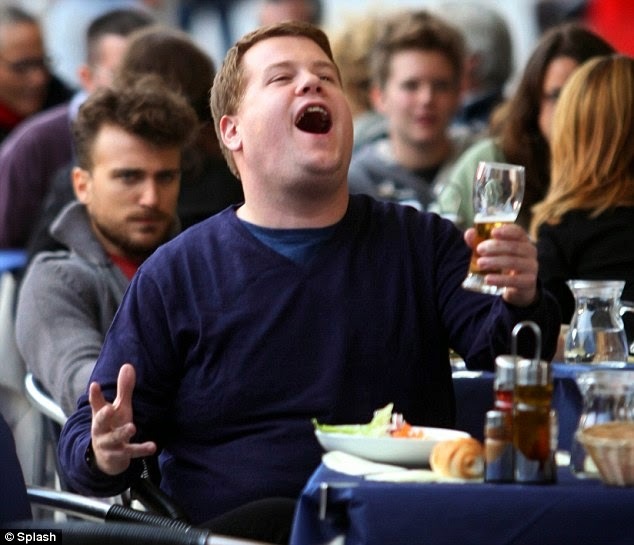 Potts is a less comedic character than many of Corden’s previous parts, but he has engaged with the role on a deeply human level, and has delivered a performance filled with heart, charm and sensitivity. 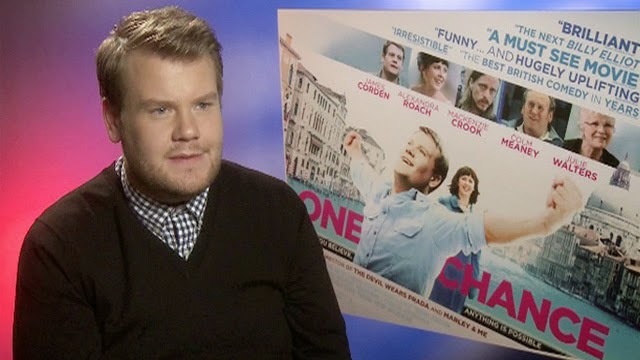 One of the significant strengths of the One Chance script in Corden’s eyes is the fact that the story doesn’t use Potts’ astonishing success as its starting point but rather builds up to that date with destiny, focusing on his life before and the many stumbling blocks he encountered along the way, from severe bullying to hospitalization for various physical ailments, including being run over by a car. Through it all, he never gave up. “When you first hear, ‘We’re making a film about the life of Paul Potts’, it conjures up visions of people sitting behind oversized desks saying, ‘I’m going to make you a star, kid!’” says Corden. 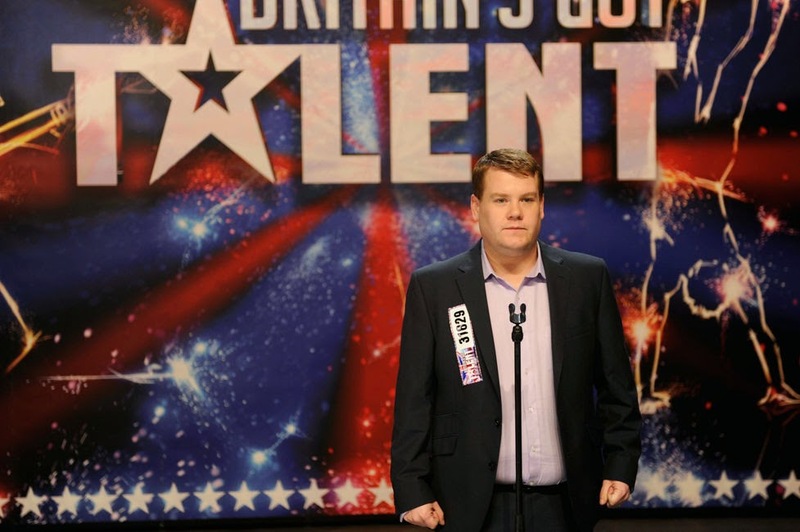 In early November 2012, at the Churchill Theatre in the London suburb of Bromley, Corden stands on a stage that has been dressed to look like ‘Britain’s Got Talent’, belting out ‘Nessun Dorma.’ The milieu is convincing, and so are the stand-in doubles for judges Simon Cowell, Amanda Holden and Piers Morgan, at least from behind. But the most convincing factor of all is Corden himself, dressed in a slightly shabby suit and nervously coming onto stage to deliver his moving rendition of Giacomo Puccini’s soaring aria. It’s enough to send chills down the spine and bring tears to the eyes, much like Potts’ achieved with his original audition. While it’s Potts’ voice blaring out of the speakers, Corden is also singing live to ensure his breathing matches that of a real singer’s. The actor is as lost in the music as Potts was back in 2007, conveying every ounce of emotion and concluding with his muted, modest acknowledgement of the audience’s rapturous applause and the judges’ awestruck reactions. It’s a powerful sequence that cast and crew know they have to get absolutely right for ONE CHANCE to send audiences away with the same feeling of elation and delight engendered by that original audition. Fortunately, Corden is able to nail take after take as Frankel changes the camera’s angle and distance and sets up a semi-circular tracking shot to capture his star from every angle he’ll need to cut the sequence together in post-production. 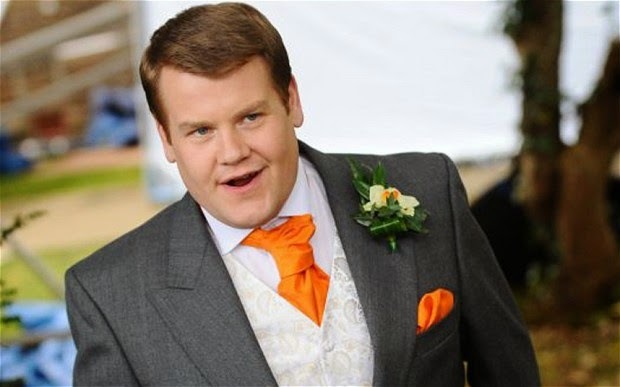 Corden's previous film roles include THE THREE MUSKETEERS, GULLIVER’S TRAVELS, LESBIAN VAMPIRE KILLERS, TELSTAR, HOW TO LOSE FRIENDS & ALIENATE PEOPLE, WHERE HAVE I BEEN ALL YOUR LIFE?, PIERREPOINT, STARTER FOR 10, HEARTLANDS, ALL OR NOTHING, WHATEVER HAPPENED TO HAROLD SMITH?, TWENTY FOUR SEVEN and the reprise of his West End role in the critically acclaimed film adaptation of THE HISTORY BOYS. In 2012 he also completed BEGIN AGAIN alongside Keira Knightley and Mark Ruffalo. “ONE CHANCE” is released and distributed by CAPTIVE CINEMA.